What’s going to happen? You can explain what will happen in the near future with the construction aller + infinitive, the French equivalent of "to be going to do." 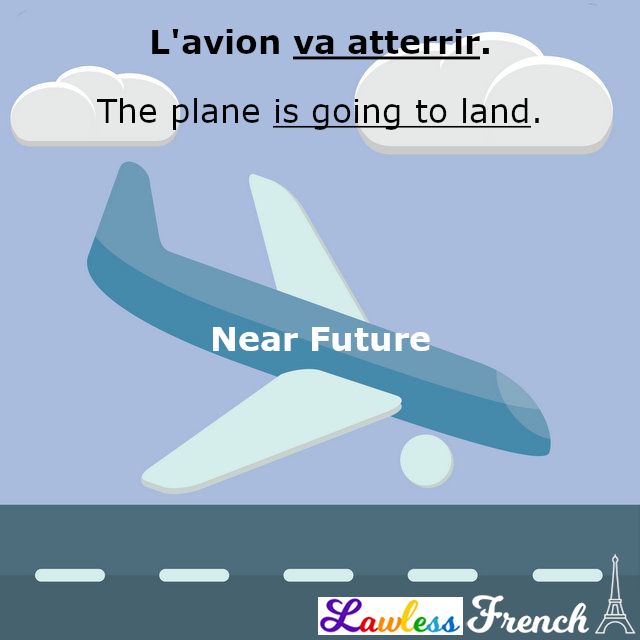 To use le futur proche, aka le futur périphrastique,* conjugate aller in the present tense according to the subject, then follow it with the the infinitive of the action verb. 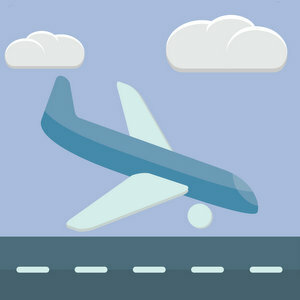 L’avion va atterrir dans 2 minutes. The plane is going to land in 2 minutes. Je vais te téléphoner à midi. I’m going to call you at noon. Nous allons aller à la plage. We’re going to go to the beach. L’avion allait atterrir tôt mais …. The plane was going to land early but …. J’allais te téléphoner quand j’avais des nouvelles. I was going to call you when I had news. Nous allions aller à la plage s’il faisait beau. We were going to go to the beach if it was nice out. In English, you can say "I am / was going to” and it’s a complete sentence. But French needs more: you have to include an infinitive. – Tu as fait tes devoirs ? – Je vais les faire après cette émission. – Did you do your homework? – I’m going to after this show. – Il faut lire ce livre. – J’allais le faire / lire mais … – You have to read this book.